For a home to be useful to its inhabitants, it has to provide them with warmth amongst other things. Radiators are some of the equipment we use to provide this warmth. They are very useful in many different situations. There are many uses for them, such as heating different rooms during the winter months and drying our clothes. 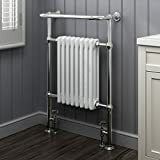 Everybody is familiar with this function of radiators, but many people are not aware that you can buy specifically designed radiators just to keep you in good supply of warm towels. 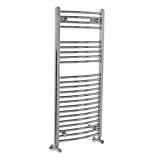 These items are known as heated towel radiators or heated towel rails. Their main function is to keep you in constant supply of nice warm towels. One of the little luxuries of life is the feeling of wrapping yourself with a nice warm towel after a nice shower or a long soak in the bath. This feeling is multiplied during the cold winter months when it is freezing outside and nice and steamy in your bathroom. 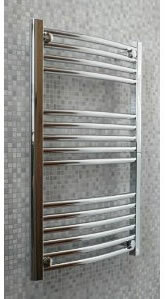 The second purpose provided by electric towel rails is elegant looks. 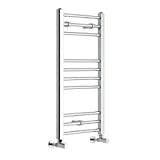 You can find them in many different finishes such as chrome, black, white and stainless steel. 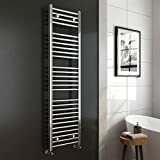 No matter your preference, they look fantastic in any bathroom and have an instant impact wherever they are placed in the bathroom. In fact, depending on the rest of your decor you can use them as the centrepiece of your bathroom. You might be worried that because of the size of your bathroom, they will not be suitable for you, but you should not because no matter the size of the space you have available, you will find a model that is perfect for you. The most important thing is to measure and have the correct measurements in hand when you are shopping. 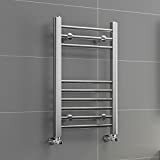 Another advantage of buying heated towel rails is they actually be used as an extra heat source in the bathroom. This is especially welcome during the cold winter months. 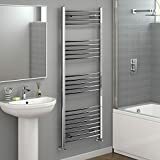 If your normal radiator is not powerful enough for your bathroom, then this is a perfect solution as it offers you to kill two birds with one stone. You get warm towels and your bathroom is heated at the same time. Just keep in mind that not all models are capable of doing this. This is only available in the bigger units because they have a large output. They tend to cost a bit more but it might be worth it. Look out for models with higher BTU ratings. Soggy and damp towels are unhygienic, smell and are perfect for bacteria to grow. 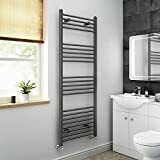 You can overcome this situation by investing in a specially designed towel radiators that are affordable and offer much more than warm towels.